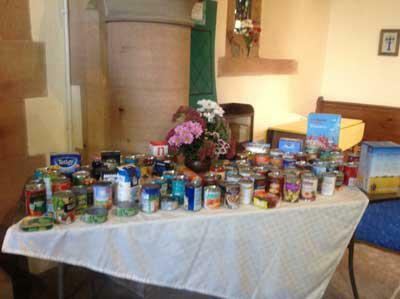 On Monday 10th October the whole school took part in our Harvest thanksgiving service in Saint Peters Church. We had a lovely service with all of the children from both classes acting out their performances and singing our chosen hymns. Both classes performed a story from the Bible ‘The Sower’ and Class 2 acted out their piece of drama about the journey of a banana. 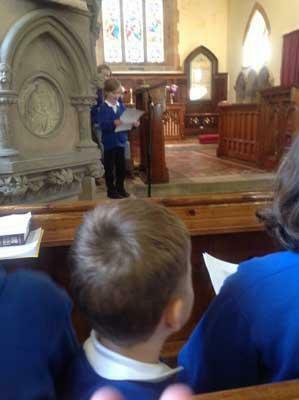 The Y2 children read their Harvest poems which they had wrote themselves in Literacy. Everyone brought in some tins of food for the food bank which is collected at Appleby for those who aren’t as fortunate as us. Sarah Lunn thanked everyone for bringing in items for this. The Mothers Union kindly provided refreshments, it was lovely to see lots of people attending the service.